De Jackson here (WhimsyGizmo), and it’s Quadrille Monday here at dVerse, when we write a poem of exactly 44 words, including a given word. For those of you who don’t know, I am a Las Vegan. And right now, in addition to prayers and healing, my city is in need of a little hope. Just write a poem of precisely 44 words, including some form of the word hope. Get creative if you’d like, but please be sure the word “hope” is in there somewhere, and that your poem adds up to exactly 44 words, not including the title. Link it up by clicking Mr. Linky. Then hop(e) your way around the blogisphere to visit some amazing poets. The prompt is open for the whole week, so remember to come back and read (and write!) some more! Hi De. I hope that you are able to find some peace in among all that is happening. I posted up early and will be back soon to read and comment. Thanks, Paul. It has been a hard, but amazing week. Our city has come together like crazy. 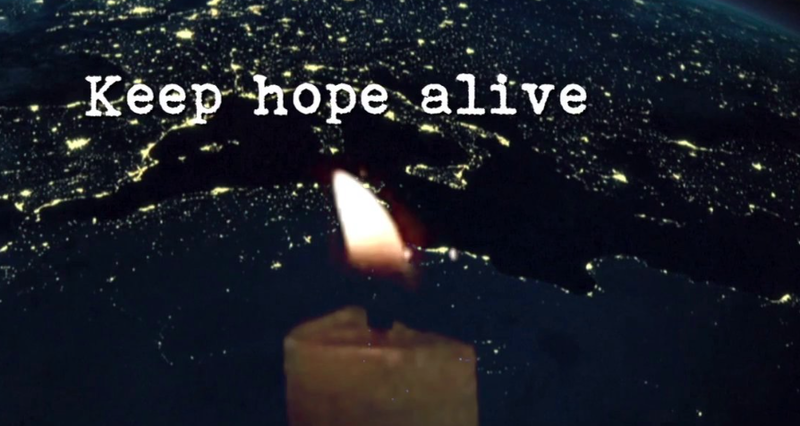 What a beautiful word – hope! We need hope, buckets of it. Thanks for hosting De and wishing everyone a lovely Quadrille writing! I sending you hope for you and your son… and for your city. Thanks, B. Broken, for sure. Just awaiting an appointment with an ortho. Thank you for hosting this. I’m heartily sorry for what happened in your town, and I’m sorry to hear about your son’s hand. I wish your son a speedy recovery. Sadly, I’m a pretty depressed (and depressing) guy. It’s difficult for me to see hope as anything other than a glass half-empty these days. Barry, I’m so glad you’re here. The only way we will ever get through this crazy life is TOGETHER. And yes, I agree with Eric. A little healthy anger comes in handy sometimes. PS: Barry, please feel free to write us something hopeless. I will wallow with you awhile, gladly. Thank you. I’m glad you’re here too. Is there a thing like hops hope in a bar? Too often we find that hope in a bottle doesn’t bring any relief. Welcome, Crystal. I’m always so glad to see you here. Hi De! Great prompt. My thoughts and prayers are for your fellow Las Vegans. As a Londoner, I have an idea of the despair we constantly try to push away, allowing hope through. I’ve posted mine. 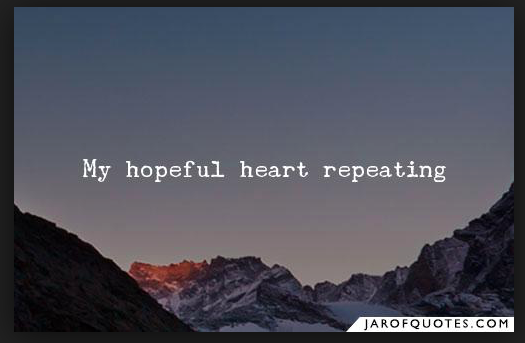 Also I accidentally posted a haiku with the word ‘hope’- feel free to delete this as it’s not a quadrille. Vivian, your haiku is beautiful as well, and I’m happy to have read it. I will remove the link. Perhaps Vivian you could leave it laying around the pub here? YES! Vivian, could you please post your beautiful haiku as a comment? That would be awesome! Wonderful, Vivian. Thank you! That visual is so arresting, and your piece is beautiful. Thanks for hosting, De! May Las Vegas have hope! Thank you, Frank. Loved your piece. Thank you for this beautiful prompt. Thank you, Sarah. Your piece was simply beautiful. Thank you for this prompt De. We all need hope in this world. Every day I pray for hope in this world. It seems we just may bet a bit. I went to the doctor today as a follow up. Still “looking” good. So I am late posting. I still have goop in my eyes and will be back later to read, savor, and comment. Toni, I am so glad you are healing well. Have been praying for you and those beautiful eyes of yours. Blessings De. And hoping your sweet son is well and not suffering too much pain. He’s doing okay, Toni. Has slept much of the day. Gets a cast tomorrow at 2pm. Yes, Toni, our only lasting true hope is in HIM! YES. I hold that close to my own heart, as well, Lynn. Raising a glass to LV – you’ll not be the same; but you’ll be greater. My ‘Letter’ says it all. This is just beautiful, Jilly. Thank you. Blessings upon you, De. Pay attention to the good that is happening now. Vegan Las Vegans, (don’t eat meat). Viva las Vegas! Hi everyone! Late in from choir and hoping I haven’t missed anything. 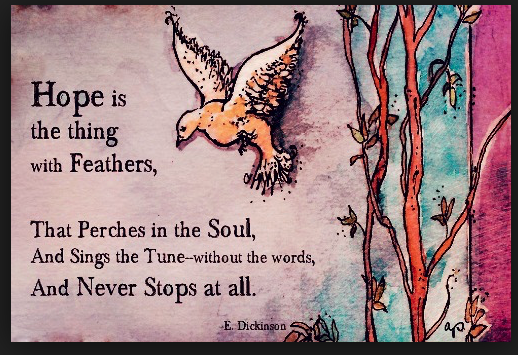 I hope to read as many hope poems as possible this evening but may have to go to bed and start again in the morning. Hi, Kim! Glad you’re here! My god you people are writing amazing things today!! Wow! Wishing you and all in Las Vegas all the best. A timely prompt. How’s Z’s hand? Any word yet? Yep. Broken. Oblique metacarpal right fifth digit something something. With soft tissue damage. Appointment with orthopedic doc tomorrow at 2pm. Sigh. Noooo! Poor baby. 😦 Which hand? Dominant? Is he playing football or almost basketball or something? Bjorn Rudberg, you just MADE MY DAY. finding words in words is fun. Hi! I brought my own beverage (pay no attention to the Darth Vader coffee cup). Love the prompt! I’ll be browsing and schmoozing amongst the poeting throng. Plus also: Luke, I am your coffee cup! I thought I’d come to the bar and drink in a cup of hope. YES, Trudessa. Welcome. Heading over now. Sitting at the bar sipping absinthe from another time. I wish you peace and healing, De. a word. strong toes. heals. These are great ones… I knew you would do them both. Had to smile at the first one having had been there a bit… The second one made me hope that all is well with you. I am never too far away. These are most excellent quads X, giving us two dimensions of hope. LOL, I often walk on my husband’s back, having learned how to do that waaaaaaay back in university. It is good to see you here. You are missed deeply. Thank you ma’am. Good to be seen. Bout like can be expected. My mom died in June on Father’s Day. Trouble with my eyes. Otherwise, I’m peachy and rolling along. I’m still writing….I had to bribe a couple of neighbors for a few weeks to read and type for me! I’d like to see you more often or read you more often. I miss your work. These are both so good. Those last lines in the second one are a stunner. So so true. Pain can BE hope. All best…we are thinking of you in NYC. i technically use the word hope in mine, so i hope it counts. 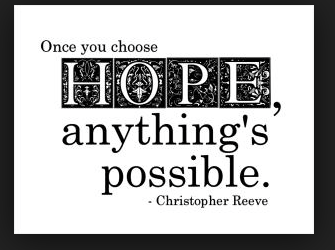 unintended use of the word hope. I’m intrigued, crow. Heading over soon. and another one…maybe a bit bleaker? Making my rounds again this morning, Sarah. Can’t wait. Welcome, Laura. So glad you’re here! Poems of hope with prayers for Vegas, hands, eyes, and broken hearts! Hope is difficult to write about. Hearing that you are living in Las Vegas where there must be much despair, inspired me to give it a try. Janice, I’m so glad. I will be over soon. Sadly, my hope went south. No rules here, jazz. The word brings what it brings. Happy to have you here. Mine’s up–now off to read others!